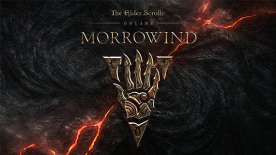 Elder Scrolls Online: Morrowind will be adding a new character class, the Warden, a powerful allrounder, who uses nature to aid them in battle. The Warden has been described as an adaptable class, designed to support players in battle, providing protection to allies. The Warden’s use of nature, is what makes this class unique, as they use the wilds of Tamriel to heal and inflict damage to enemies. This nature assisted class is able to summon animals to fight in battle as well as healing plants to help friends and a layer of protective ice to shield allies in a fight. The Templar is one of the ESO classes, playable in the current game and new Morrowind expansion. They are a knight class, who use the power from light and sun to deal large amounts of damage, whilst acting as a healing and buffing class. The Sorcerer class is one of the magic-based classes in Elder Scrolls Online. They utilise the elements of the world such as lightning and tornadoes to deal damage to enemies. Dragonknights are the tanks of ESO, they’re the warriors. Front line, sword and shield, they’ll be found wherever the fighting is hardest and they’ll be there until the fighting is done.